One of our favorite things about summer is dining al fresco under the open sky. 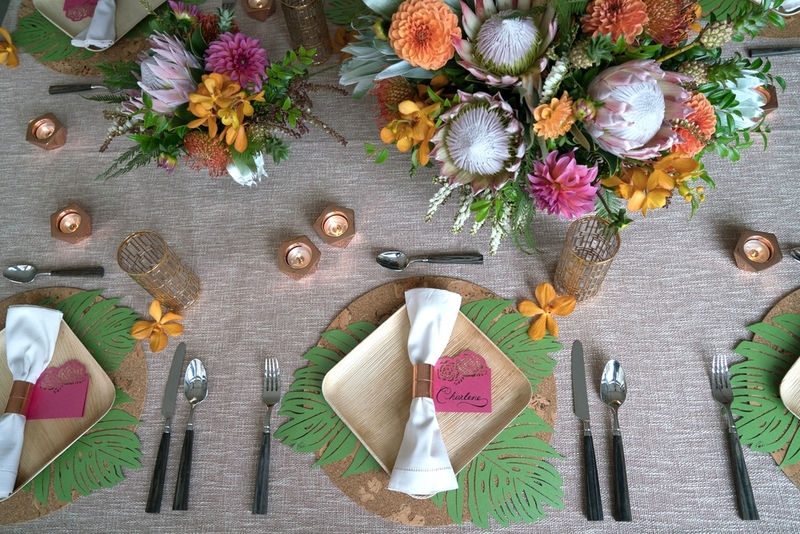 No matter what you're serving, we think it's always a good idea to dress up your tables. 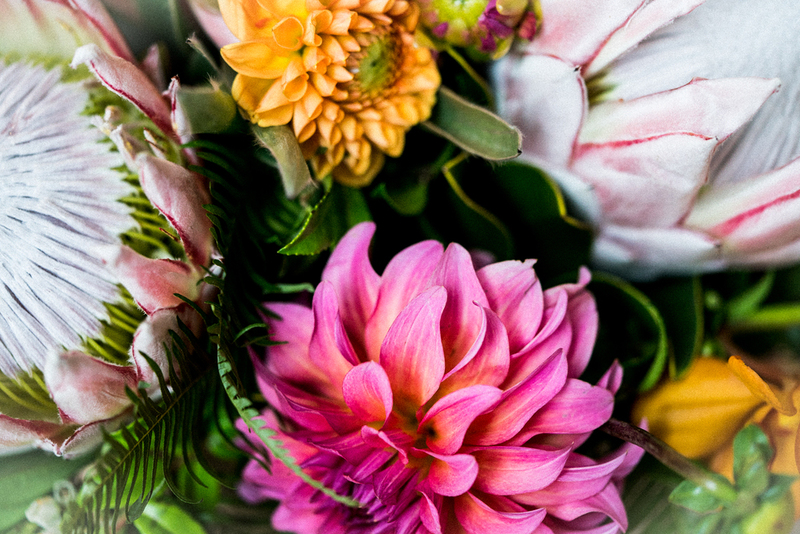 Creating memorable moments and happy impressions for your friends and family is always in style. 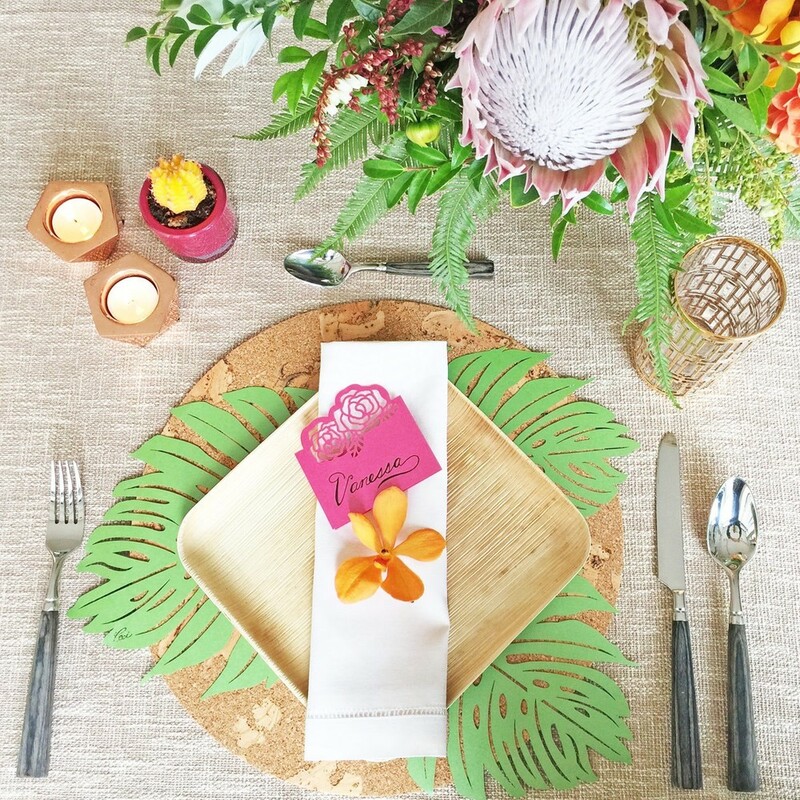 So we called upon our friends at Tinsel & Twine to help us gather a little summertime inspiration and show us how to style a summer table using our Palm placemats. 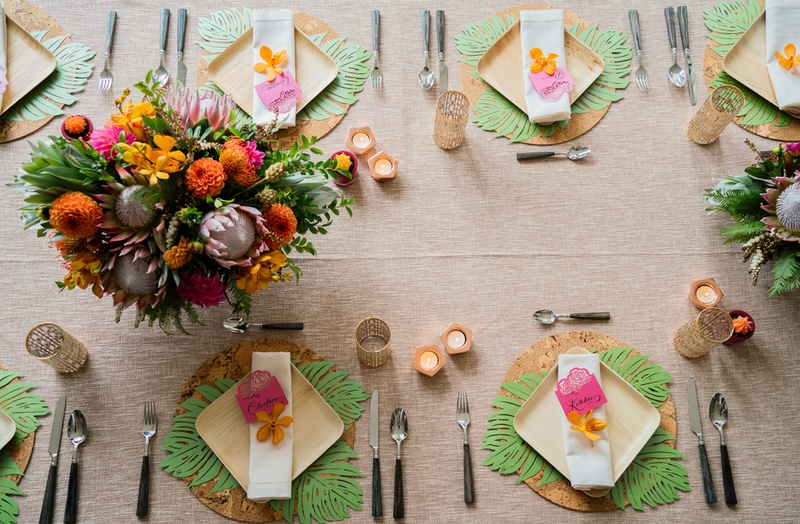 They accepted the challenge and came up with this gorgeous tropical setting. 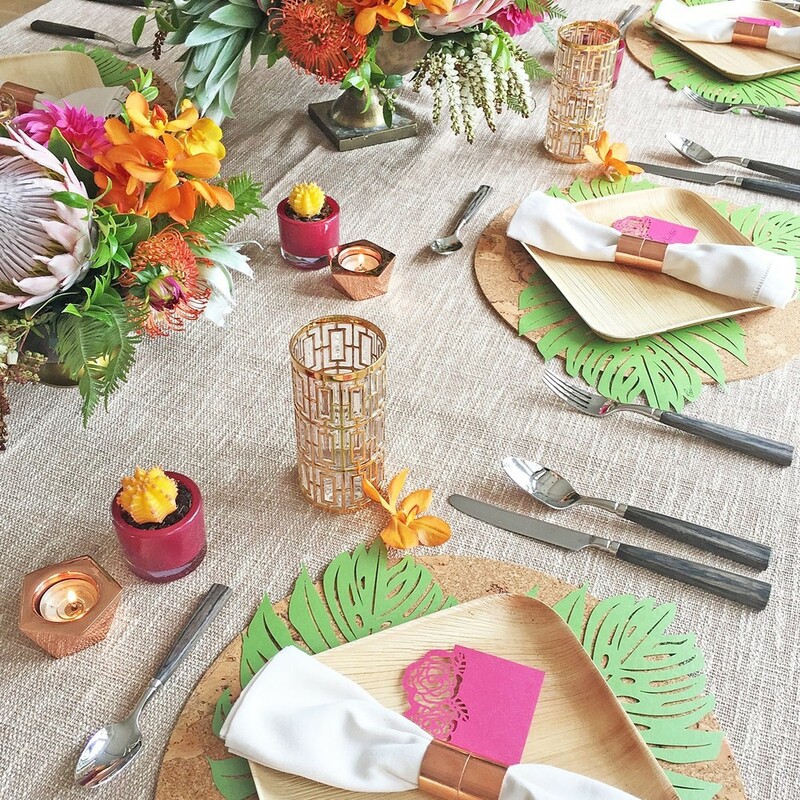 Everything they used is easy to incorporate at home. Shop the look below and start entertaining like the pros do!